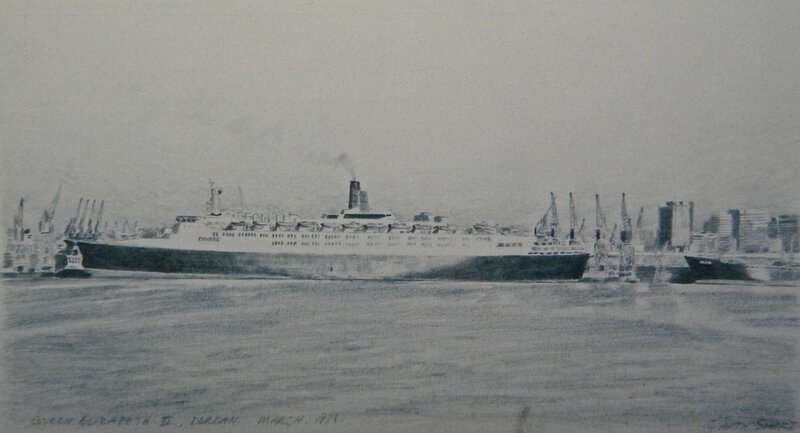 I used to spend days in Durban harbour walking aound and taking photographs and sketching and painting the ships. One day the Queen Elizabeth arrived, dwarfing everything around her. She was truly a sight to behold and people came from miles around to look at her After talking to one of the tug boat captains, he allowed us on board as spectators (as long as we didn't get in the way), to watch the proceedings as his boat and two others hauled and pushed the huge ship out to sea.